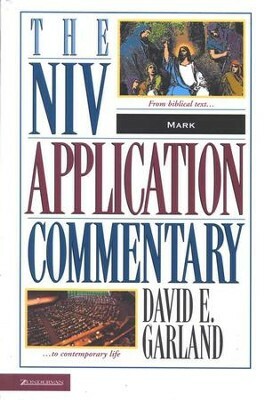 This month you can download David E. Garland’s NIV Application Commentary on Mark for free, and add John Walton’s NIVAC commentary on Job for only $1.99. For the first time that I can recall, they are offering a third book in this series, Scot McKnight’s commentary on 1 Peter for $2.99. For the price of one of those fancy coffees, you can purchase three excellent commentaries for your Logos library. I have always enjoyed reading David Garland’s work; he is one of those commentators who I will usually purchase when I am teach a book. In fact, he has written quite a few major commentaries. His recent contribution A Theology of Mark’s Gospel: Good News about Jesus the Messiah, the Son of God (Biblical Theology of the New Testament Series, Zondervan, 2015) is excellent, and he wrote the Mark section in the Zondervan Illustrated Bible Background commentary series. His commentary on 1 Corinthians (Baker Exegetical commentary) and 2 Corinthians (NAC, Broadman and Holman) were both very useful as I taught through 1-2 Corinthians a few years ago. He has also written a Luke commentary in the Zondervan Exegetical Commentary on the New Testament and Colossians, Philemon in the NIVAC. You should grab all three books while Logos has them on sale. As always, Logos has a giveaway related to their free (and almost free) book of the month promotion. This time you can enter to win a the Zondervan Illustrated Bible Backgrounds Commentary: New Testament and Old Testament (9 vols.) If you have not seen this resource, it is a great deal of fun to read. The commentary is brief and focused (obviously) on Bible background issues, but it is lavishly illustrated. Always worth at least browsing through when teaching through a book. I do not have the Logos version of these books, so I am not sure how they have worked out the illustrations. Head over to Logos, get the free (and almost free) books for your Logos Library, and maybe win the Zondervan Illustrated Bible Backgrounds Commentary!